The strain which changed cannabis culture and has astonished weed lovers for more than a quarter-century is now available from Sensi Seeds as a top-quality feminized variety! Breeders regard Skunk #1 as the benchmark of uniform, reliable performance and her rock-solid genotype has influenced a hundred modern hybrids. The potency of this branch of the cannabis family tree is so notorious that 'skunk' is often used as a general term for all powerful ganja. Sensi´s feminized version of Skunk #1 is still remarkably uniform when grown from seed, with plants displaying consistent structure and regular bud formation time and time again. In almost 30 years of experience with the strain, this is the finest example of feminised Skunk #1 that we´ve ever seen! Skunk #1 Feminized displays energetic performance and her bountiful yields demonstrate the true meaning of hybrid vigour. Growth and flowering are mostly-Indica in appearance, though Skunk plants gain more height than pure Indicas when blooming. Flowering is both rapid and rewarding, as Skunk #1 Feminized produces robust stems and branches to support her superior yields. Short internodal gaps quickly close when her nodes explode into dense, rounded bud-clusters which merge into huge, heavy colas by harvest time. Skunk #1's Sativa genes have a subtle effect on flower structure plus a wonderful influence on her effect — a stunningly potent combination of stone and high! Skunk #1 Feminized is a is a feminized strain, which will only produce plants that flower as females.. Skunk #1 Feminized has won a Cannabis Cup or another Cannabis Award. The Skunk #1 Feminized strain has large proportion of Indica genes in its background. Skunk #1 Feminized will have a comparatively short flowering time. Skunk #1 Feminized will have average height gain during flowering. 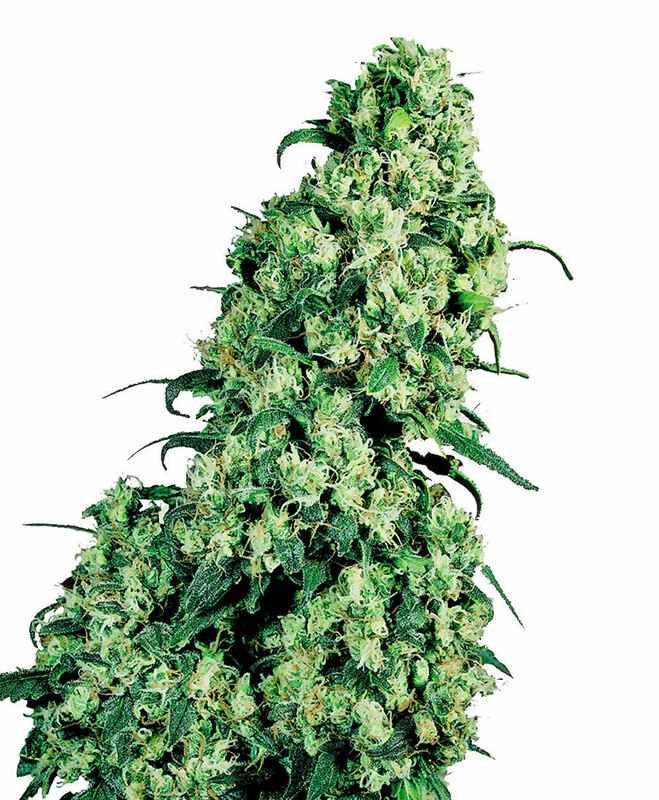 Skunk #1 Feminized can be grown outside in a normal warm summer. Skunk #1 Feminized Seeds is added to your shoppingcart! Skunk #1 Feminized Seeds is added to your wishlist!